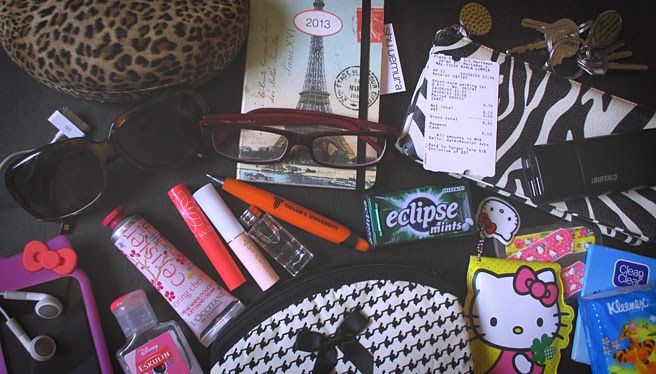 sabbyloh: What's in my everyday bag? I am a nosy person. I love rummaging through the belongings of others. You have a perfume collection? I'll uncap every single one of them and sniff to my heart's content. Have a mini-bar in your room? I will check the nutrition label and expiry date on all items. I can't help it. Just cannot! So here's a post for all you busy-body curious cats out there: "What's in my everyday carry bag?" It's fun to see what people choose to lug around with them 24/7 as I think it shows what kind of a person they really are. Btw, I've stashed away all the random receipts, food wrappings and used tissues found dwelling in the vast abyss of space ('coz a woman's bag is like a Black Hole, lol) prior to snapping the photos. But apart from that, the state of my bag is pretty much.. Au naturel? Hahaha. 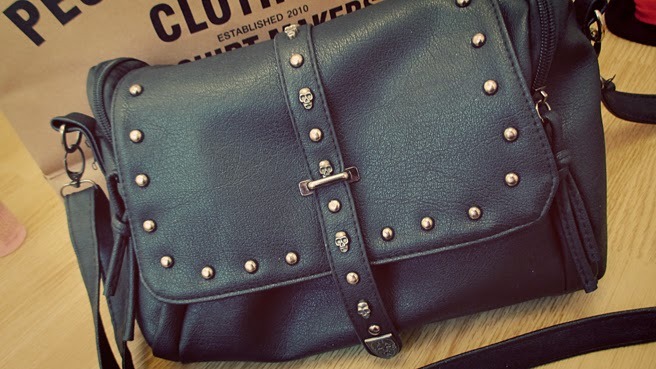 This is my go-to bag. Super cheap yet of decent quality. I've had it for quite a while now and none of the studs have fallen off yet! Plus the little embellishments add this little edgy vibe to my outfit every single time. The two side compartments are great for when I need to chuck candy wrappers away as well. Mad loveee!! I'm actually rather proud of myself. 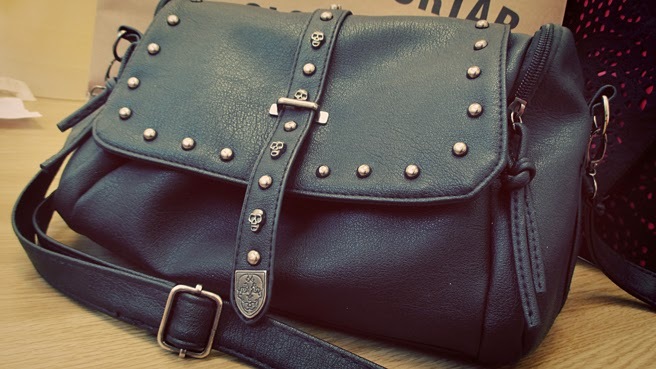 Do you know how some girls manage to survive a day with just a small satchel? I found it terribly amusing, ahhahahaah. Sorry, Potterheads. ps; Was inspired to write this post after browsing through whatsinyourbag.